Bovine Colostrum Could Help Athletes Cope With Heat Stress : Shots - Health News Bovine colostrum has been a popular natural health supplement for centuries. Now, British researchers have found that it helps mitigate the effects of overheating in athletes. Cow's First Milk: An Udderly New Sports Drink? In the first few days after they give birth, cows (like all mammals) produce a special milk that is full of antibodies and growth factors. Bovine colostrum — the milk produced by cows in the first few days after giving birth — sounds like another natural remedy on the line between science and wishful thinking. Proponents call it "Nature's Healing Miracle" and point to mention of its healthful properties as far back as the Bible and an ancient Indian pharmacopeia. Modern vendors of the stuff claim it boosts immune function, supports muscle growth and can fight aging. But now British scientists have published a study (coming out in the March edition of the American Journal of Physiology) suggesting bovine colostrum has at least one very real effect: reducing "gut leakiness" in athletes. Say what? The gut has to digest and absorb the food that we eat and be a good barrier at the same time. In various diseases and during heavy exercise that barrier fails. That's a big problem for a lot of long-distance runners. As their core heats up, gut cells die and toxins from the gut leak into the body. Playford and his colleagues looked at runners at the end of a 20 minute workout. Normally, these athletes saw a about 250 percent increase in gut leakiness as their temperatures rose. But runners who took colostrum for two weeks before going through the same workout only saw a 50 percent increase, even though they were getting just as warm. So what exactly is happening at the cellular level? Scientists aren't sure. 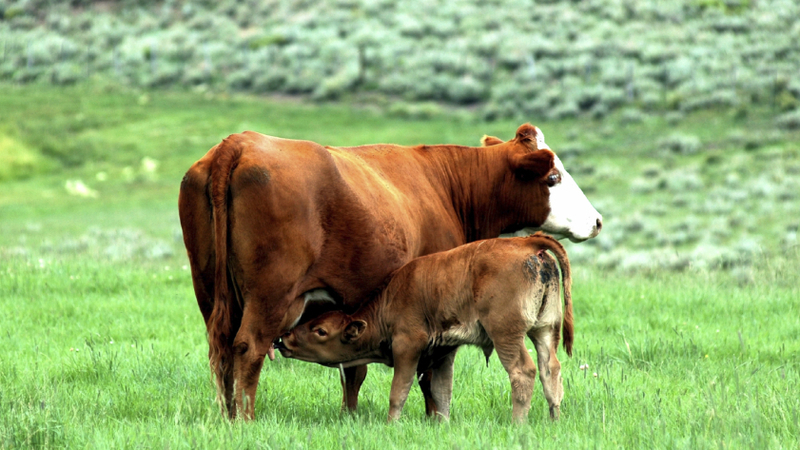 Bovine colostrum is loaded with antibodies and growth factors — the kinds of things that give calves a healthy start in life. Skeptics say these are also the kinds of things that are quickly digested by adult humans. However, Playford says it appears that some ingredients of colostrum are sticking around long enough to decrease gut cell death. They might even be strengthening the bond between cells. He's not suggesting colostrum is a cure-all, but the stuff might be helpful for Olympic athletes hoping to improve their performance without getting disqualified. Playford tells Shots colostrum could also aid other victims of heat stress, like soldiers fighting on desert battlefields. Still, he cautions consumers to be wary of most claims about colostrum's powers. "You have to do proper biological to assess biological activity," he says. "An awful lot of these claims are not underpinned by rigorous science."